Short on time and attention span? Our guides know how to make touring Rome a heart-warming, interactive and exciting experience—the total opposite of a boring history class. The Italian Links Tours experience includes all the highlights, but scheduled according to your travel needs and level of interest. (This program is also easily adaptable for ship-to-shore tours). The Sistine Chapel without the Crowds: If you’re an early riser, you will appreciate our 8 am Vatican tour that includes the Sistine Chapel with only ten people in the room, as well as a highlights tour of Saint Peter’s Basilica, including such famous masterpieces as the Laocoon, the Apollo Belvedere and Raphael’s Painted Rooms. The Fortress with the Best View in Rome: You won’t want to miss the magnificent fortress Castel Sant’Angelo, where you will explore its former prison and torture chambers, as well as vast terrace overlooking the Eternal City. 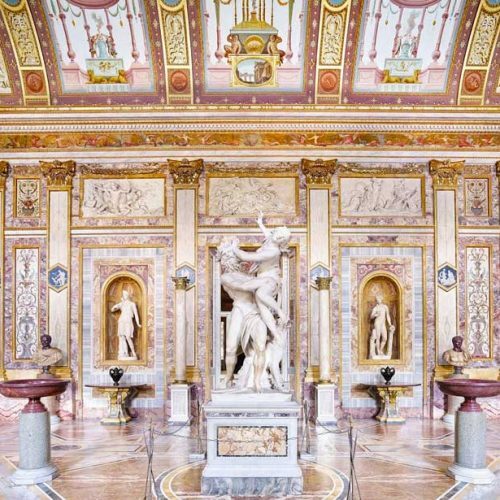 Rome of the Emperors and Gladiators: Travel back to the glory and decadence of the Roman Empire, and learn about its most famous citizens, as you visit the Capitoline Museum whose striking busts introduce you to Julius Caesar, Nero and the Emperor Augustus. Then you will proceed into the Roman Forum, from where these great men ruled, reliving their hours in the ruins of their temples and basilicas. This fascinating tour will continue to the Coliseum, the ancient world’s greatest stadiums; you can even attend a gladiator school to see how ancient captives fought their way to freedom. Rome for Foodies: Italian Links Tours can arrange an evening walking tour unveiling the delights of Italian food and wine that takes you from the celebrated Campo dei Fiori to the Jewish Ghetto while tasting typical local specialties. Pizza Baking & Pasta Cooking: Your private tour guide will unveil the secrets of making the best wood-fired pizza and Roman pasta dishes at a historical restaurant in the heart of the Eternal City. With your guide you will learn how many different kinds of pasta exist, and you will be able to select the ingredients for your own customized pizza. Cooking with an Italian Family: Here is your chance to discover how Italians truly shop for food and eat. You will first take a private tour to one of Rome’s local food markets with a chef to purchase local produce and other ingredients and then go to a private home to join a wonderful cooking class. Your reward? To eat what you have prepared. 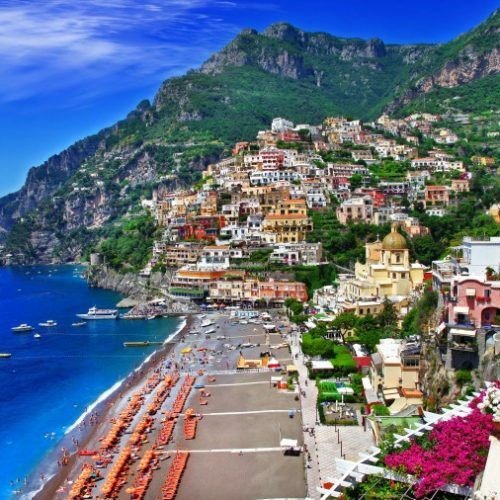 Daytrip to Positano & Pompeii: Our expert driver-guide will pick you up early in the morning to take you to Positano, known as “the pearl of the Amalfi Coast.” Here you will explore the town’s quaint streets and unique shops, then enjoy lunch at a typical trattoria by the beach. We will then arrange for you to visit Pompeii and Herculaneum with a local guide, and relive the glorious final hours of a town that represented the hallmark of Roman civilization and art de vivre.